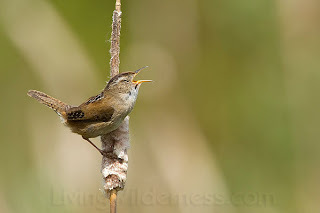 In a particularly brushy area in Seattle’s Discovery Park, I heard the unmistakable song of a winter wren. The birds were made to be heard, not seen, but I grabbed my camera and started looking for it anyway. Moments later, a woman came up and asked what I found. “Oh, I thought you found something interesting,” she said and then walked away.